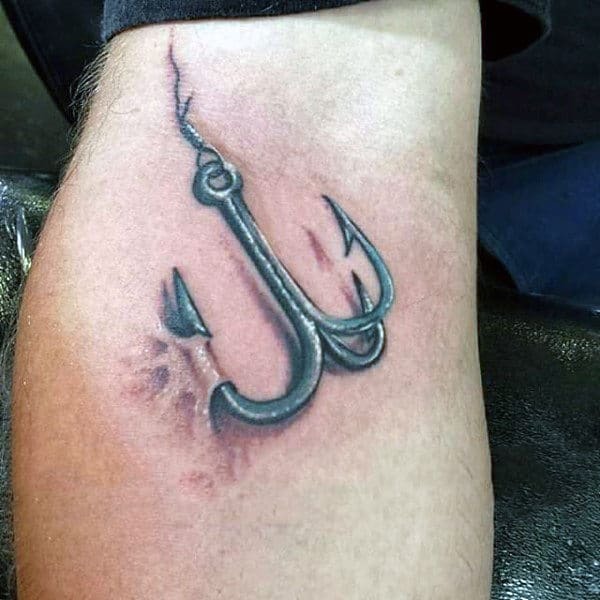 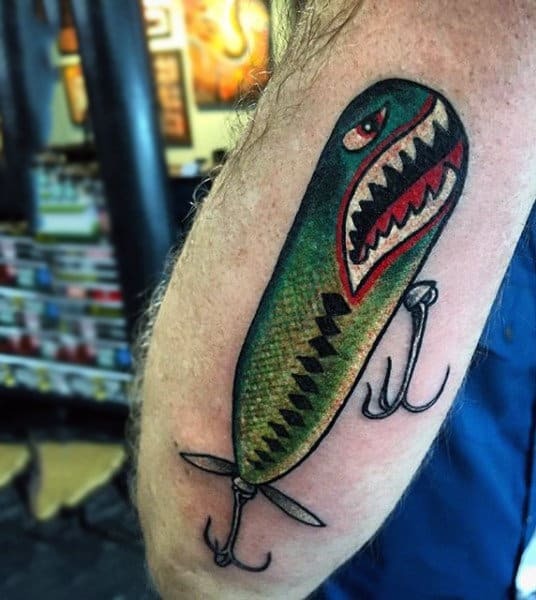 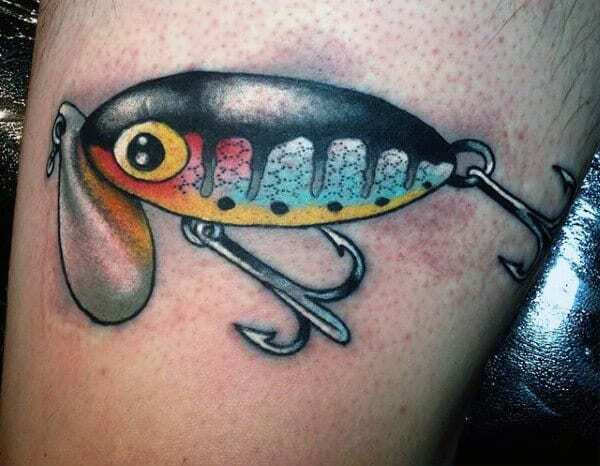 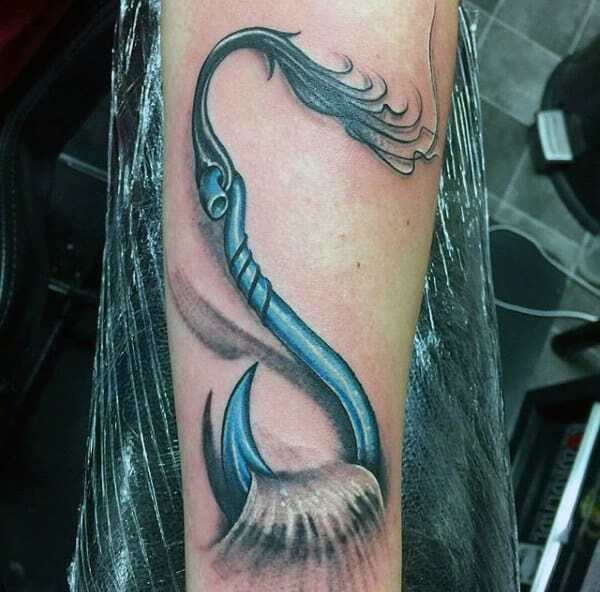 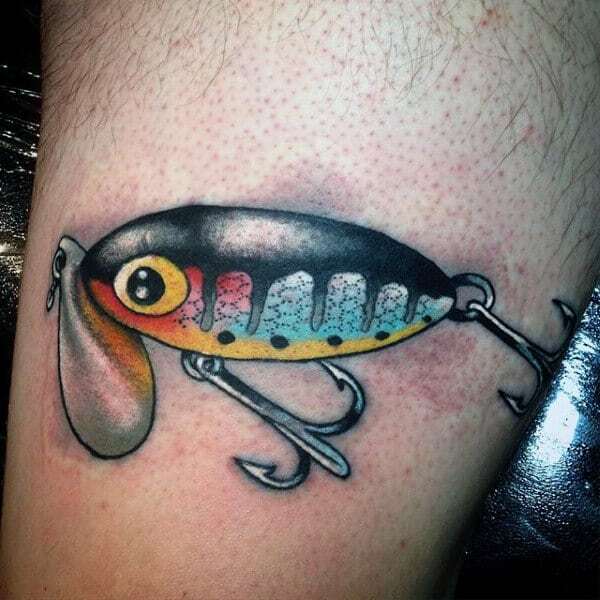 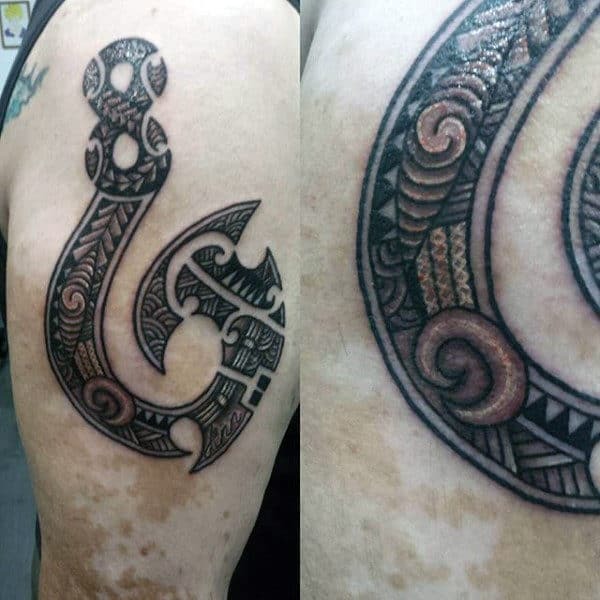 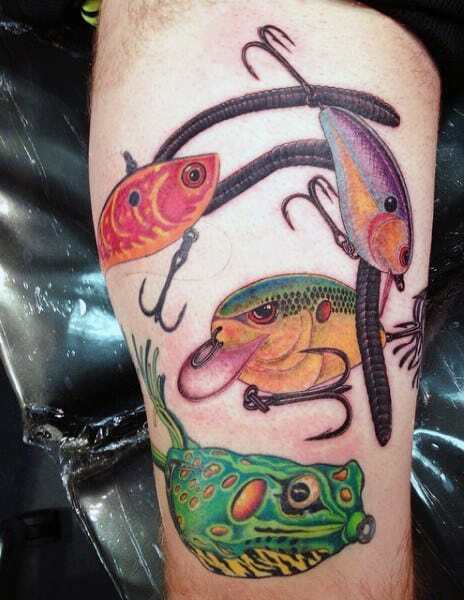 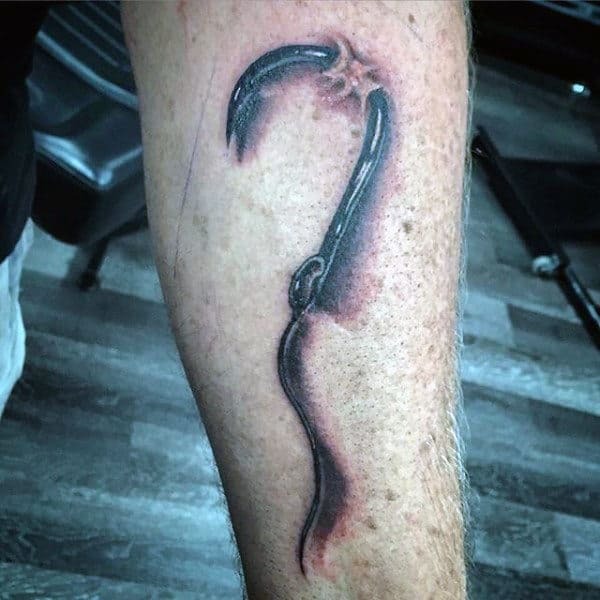 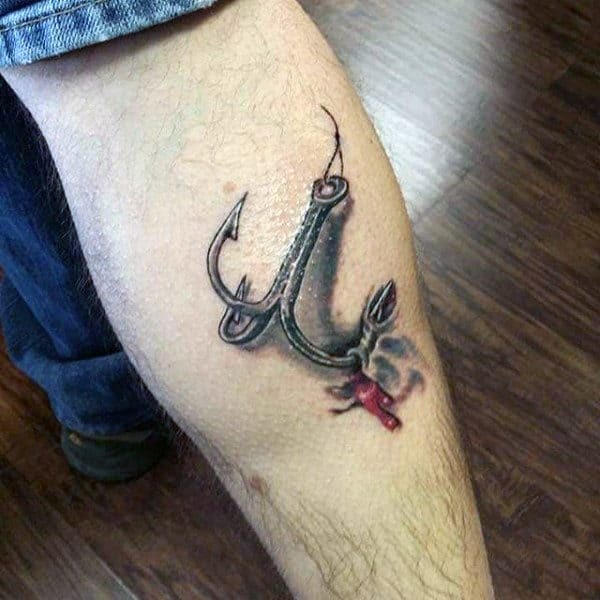 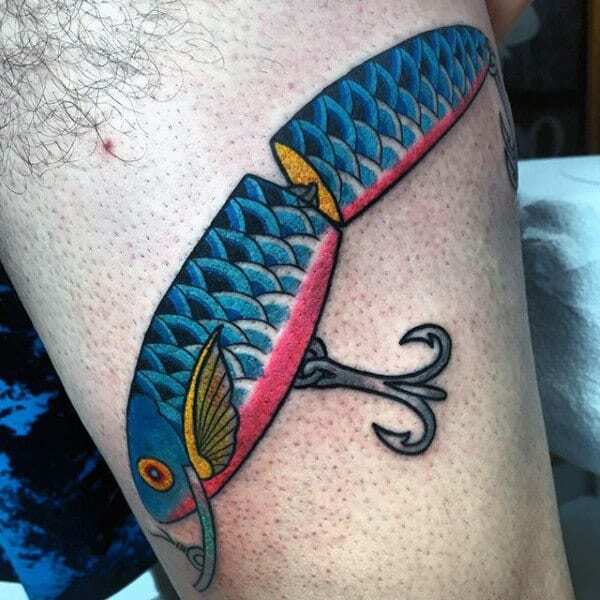 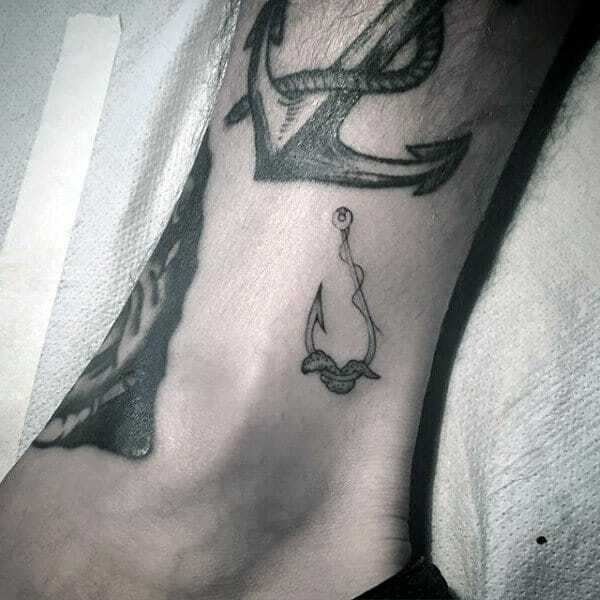 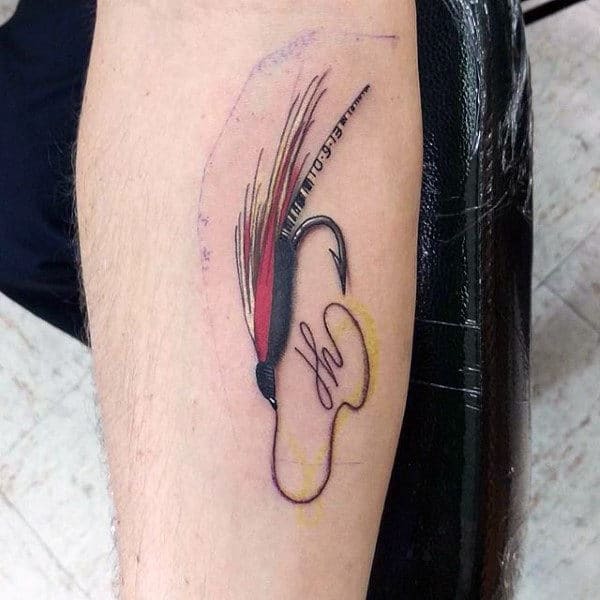 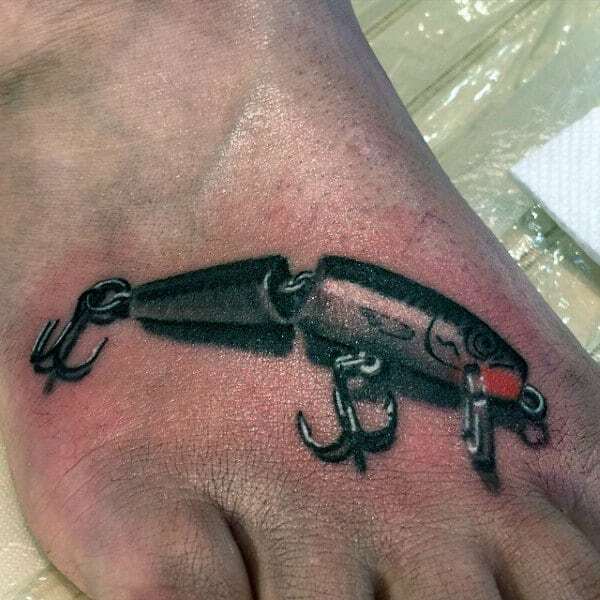 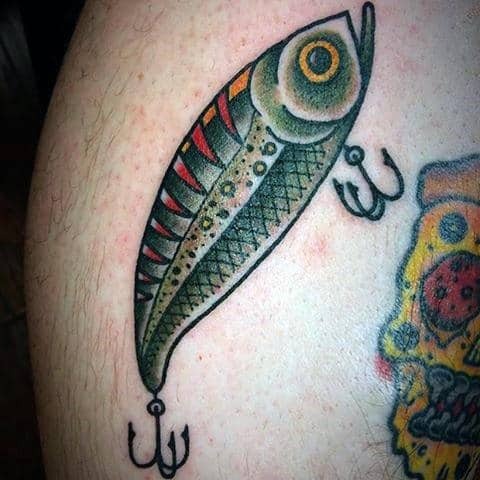 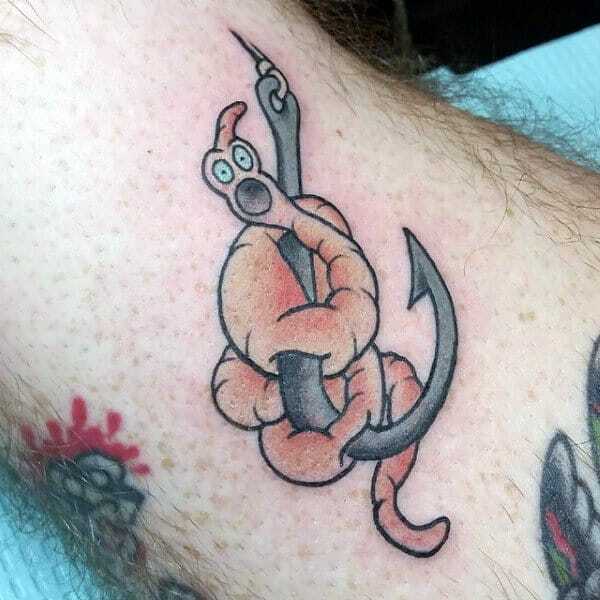 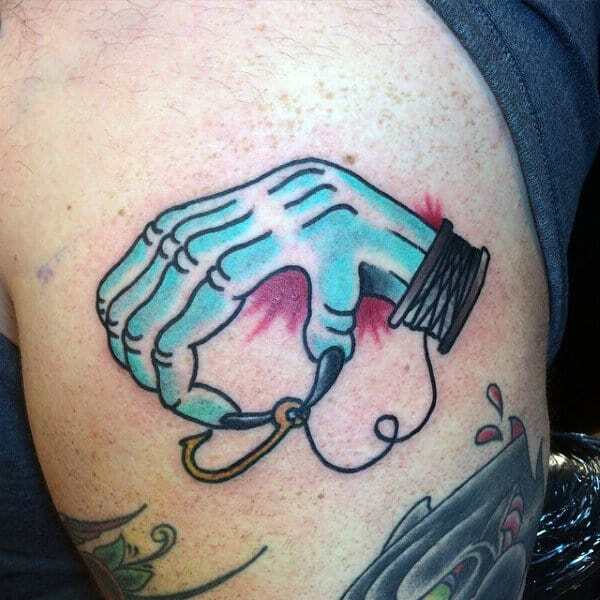 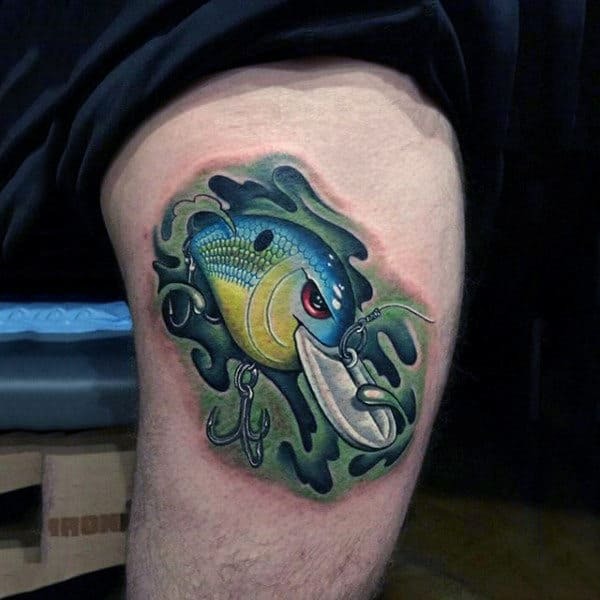 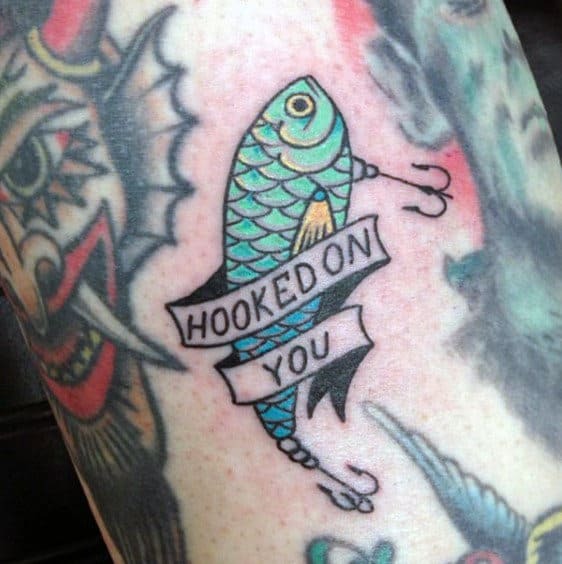 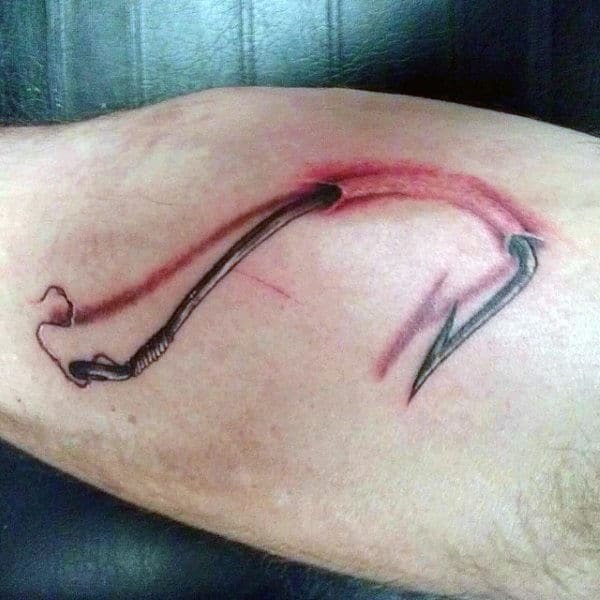 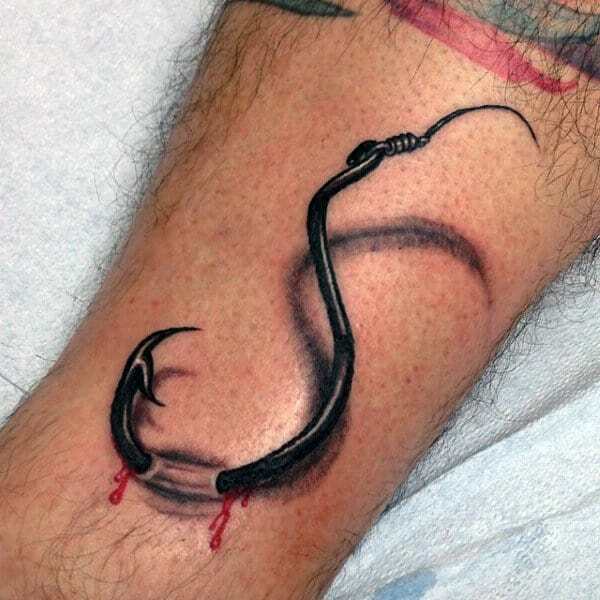 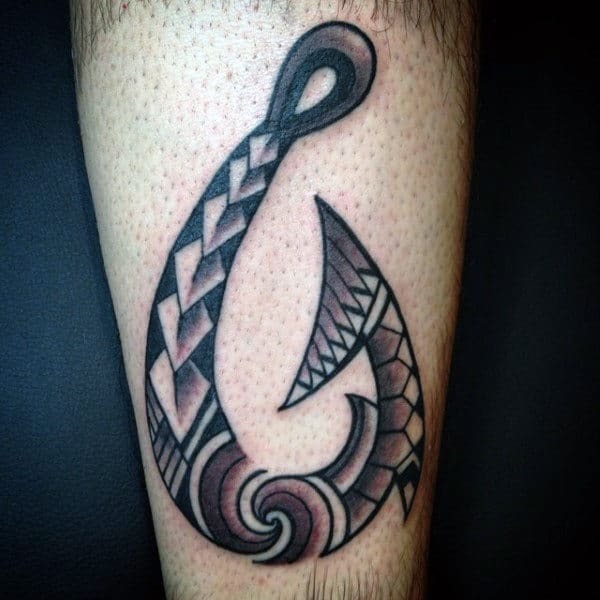 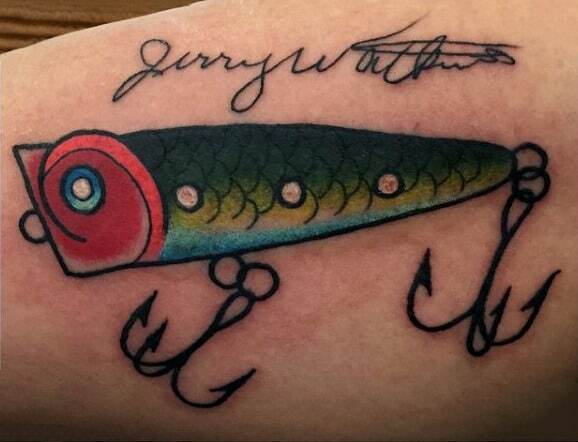 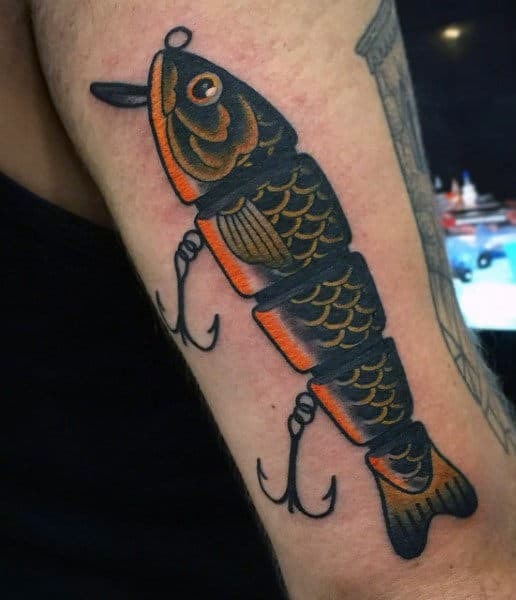 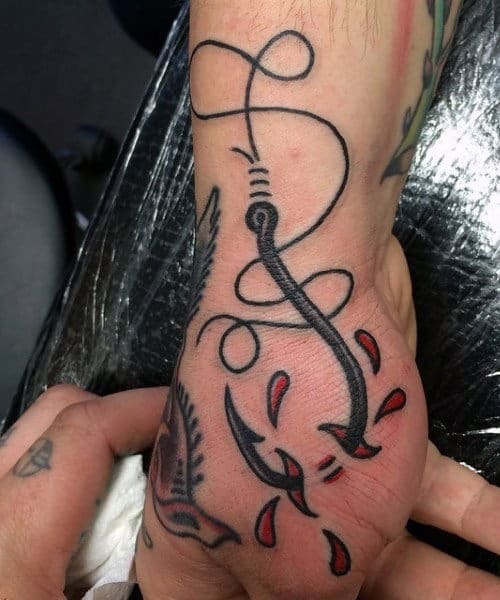 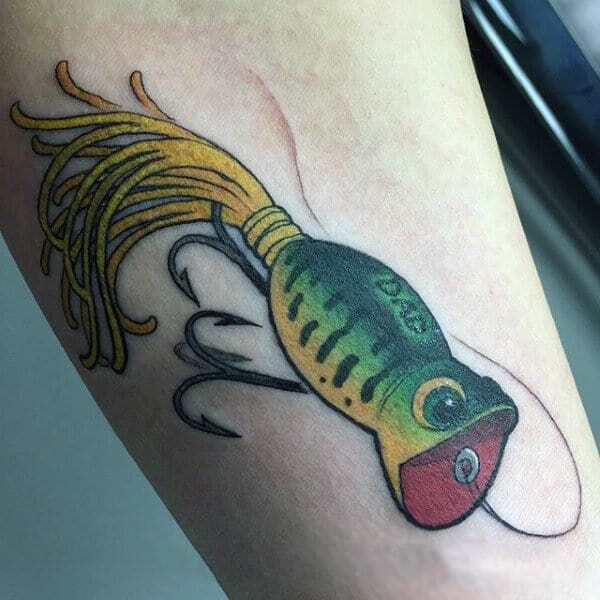 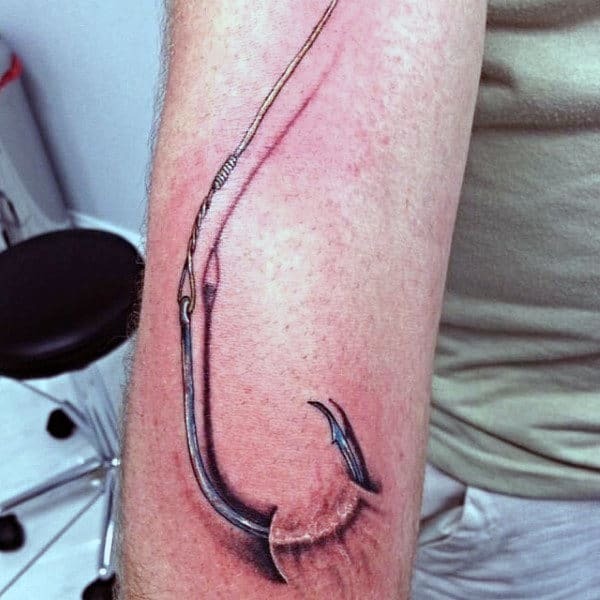 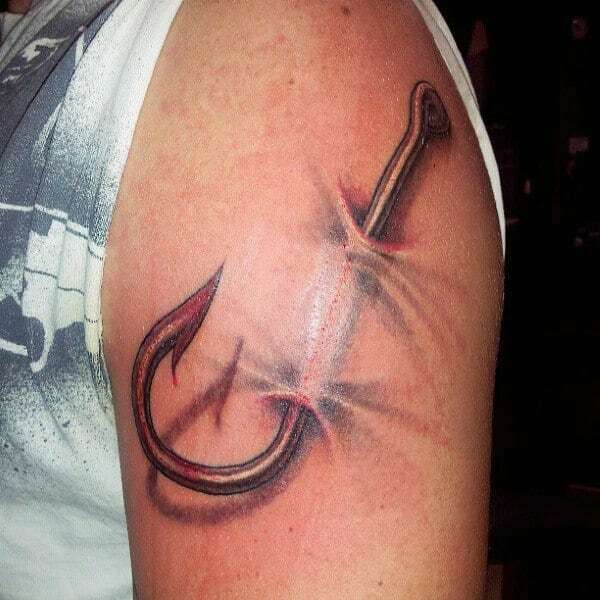 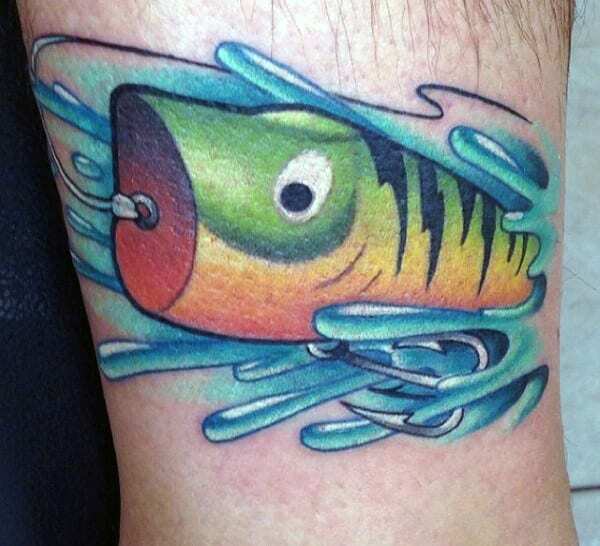 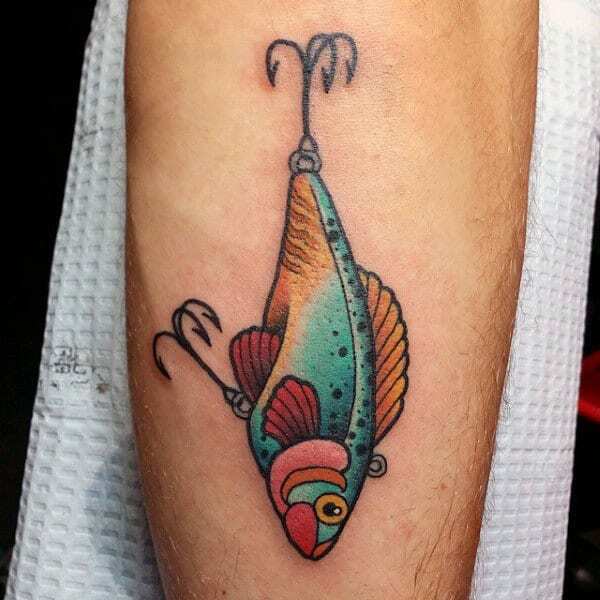 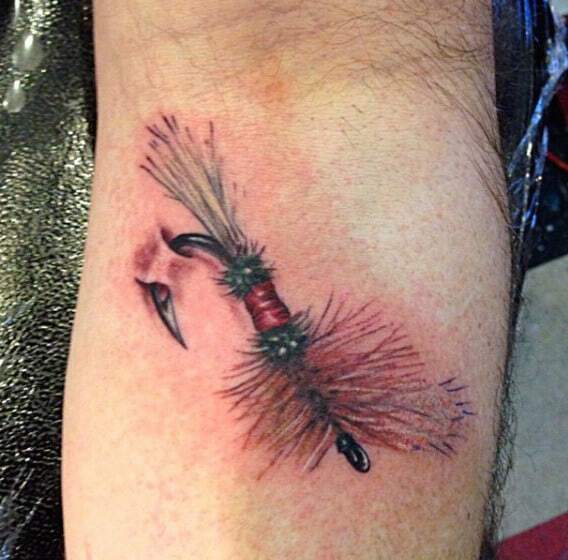 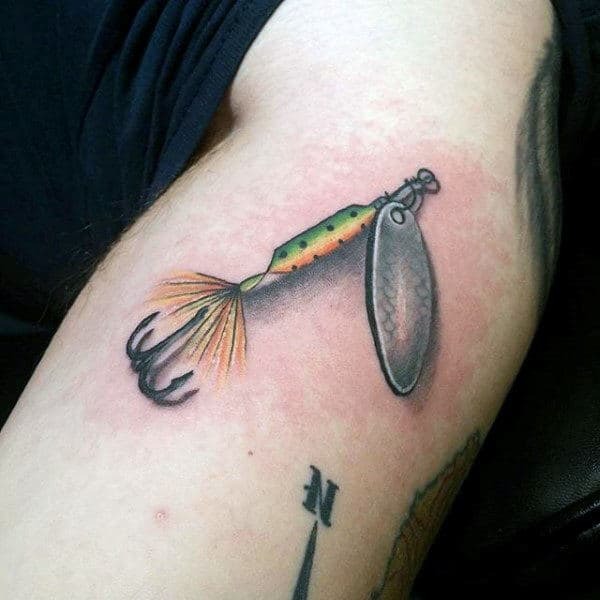 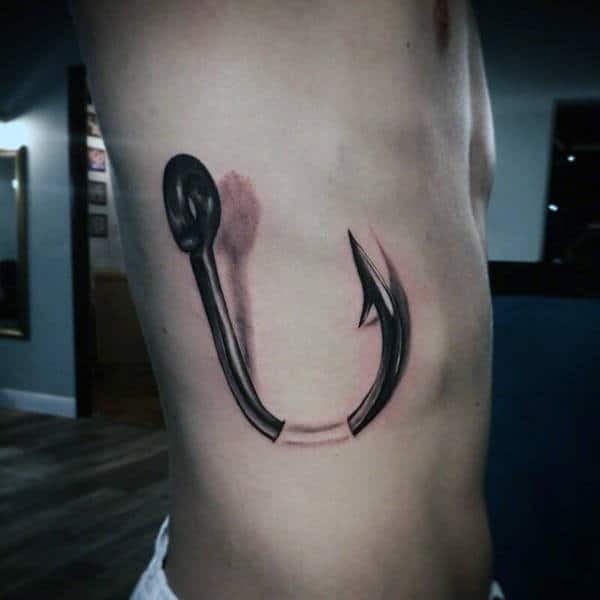 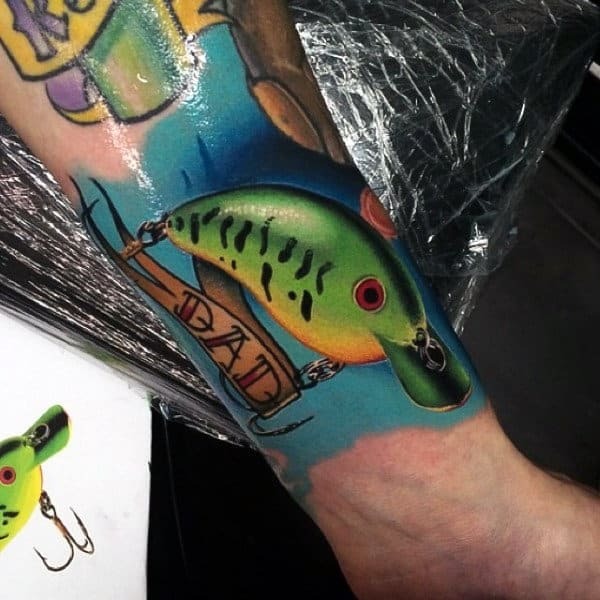 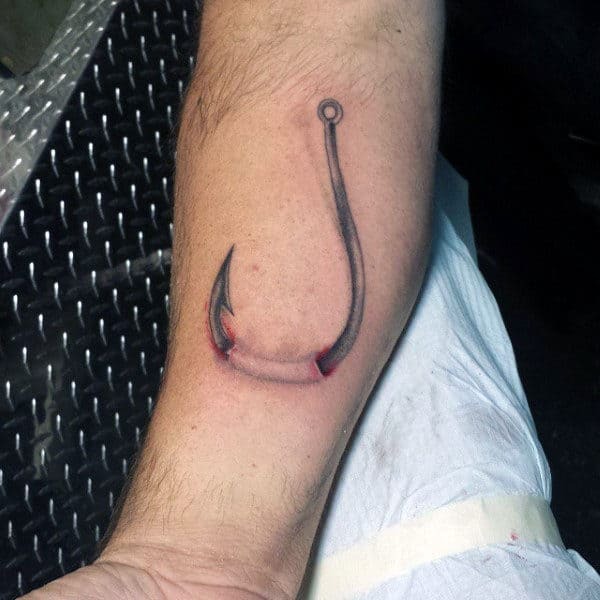 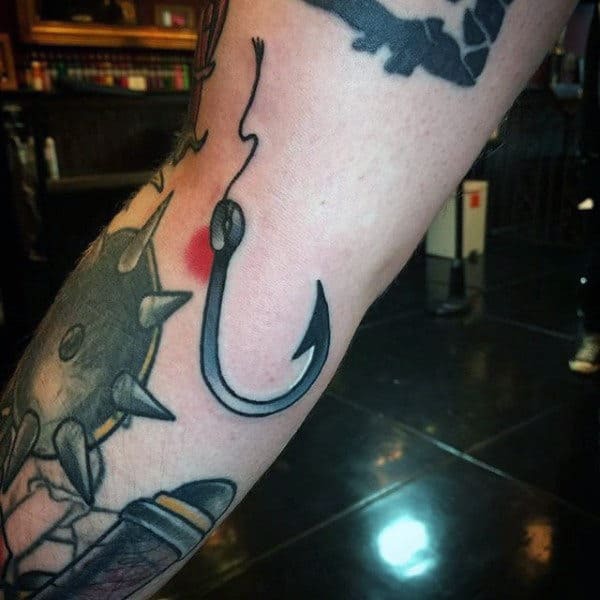 For a rampantly righteous show of old-school masculinity, nautically minded men are flocking to fish hook tattoos in droves. 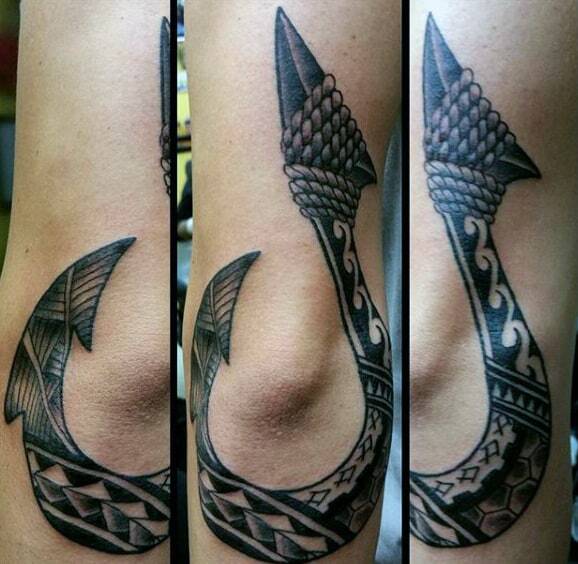 These sharp designs combine toughened appearances with an approachable oceanic charm. 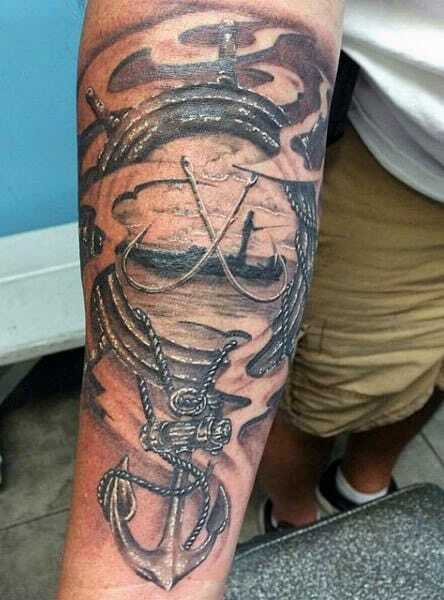 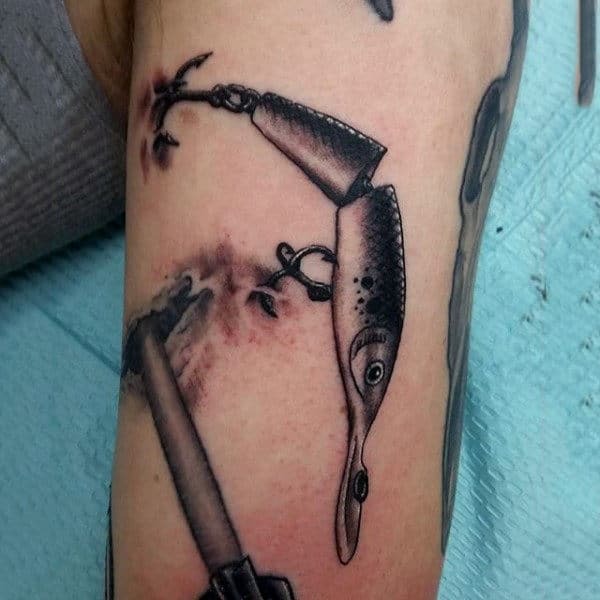 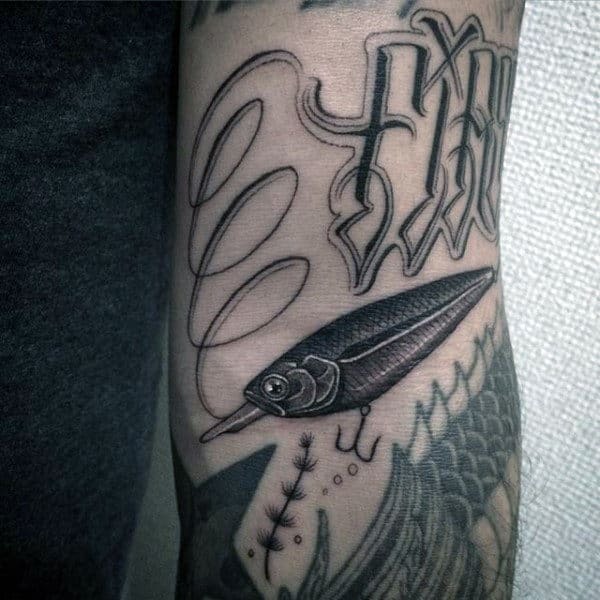 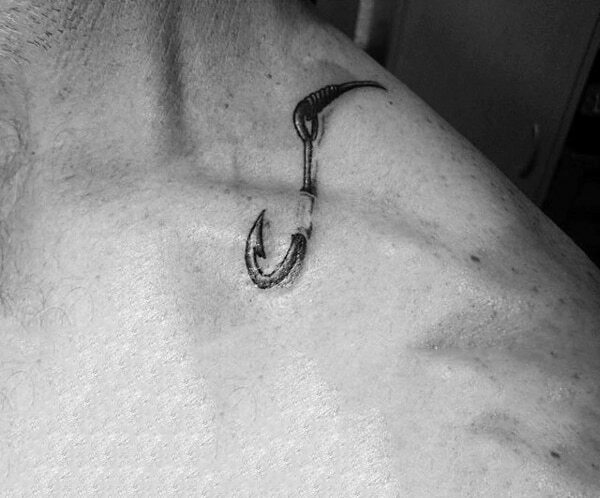 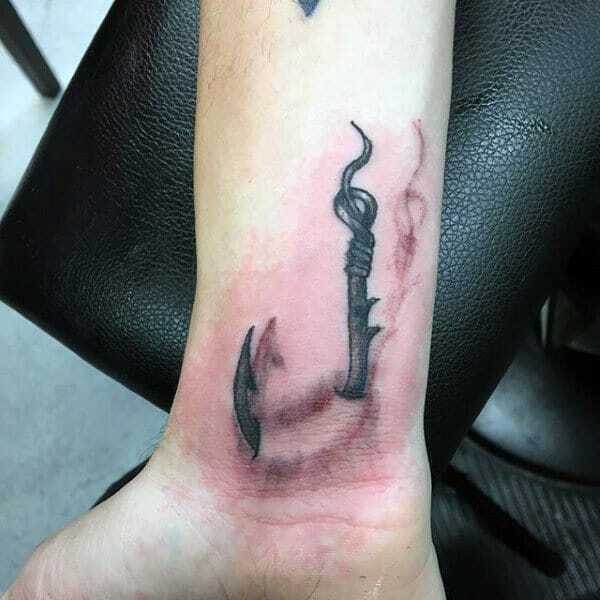 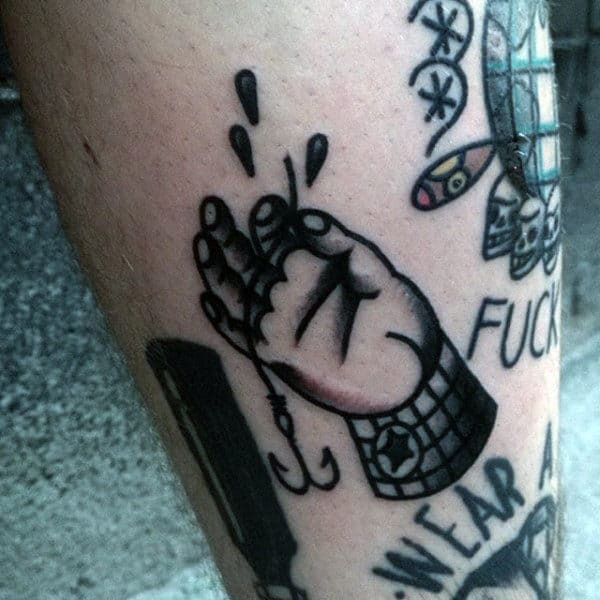 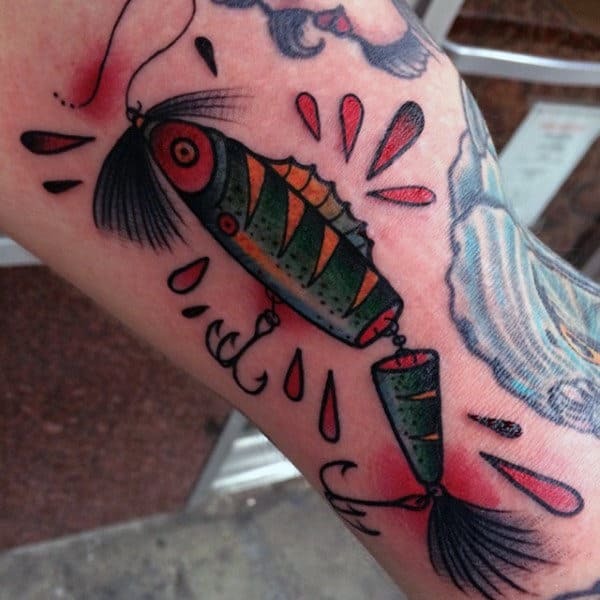 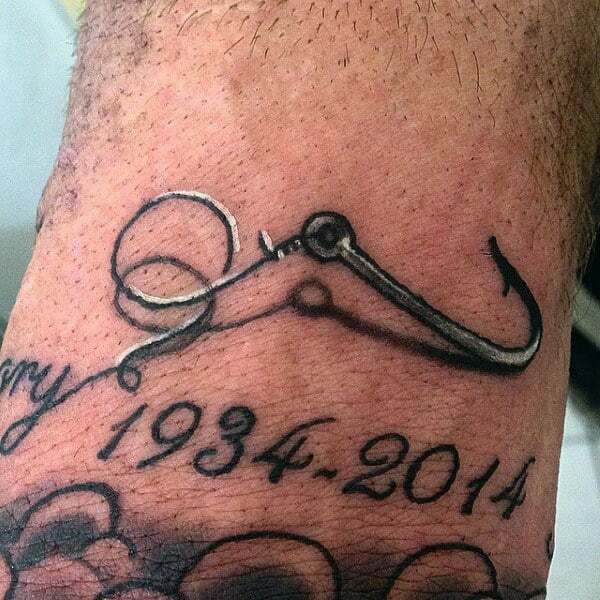 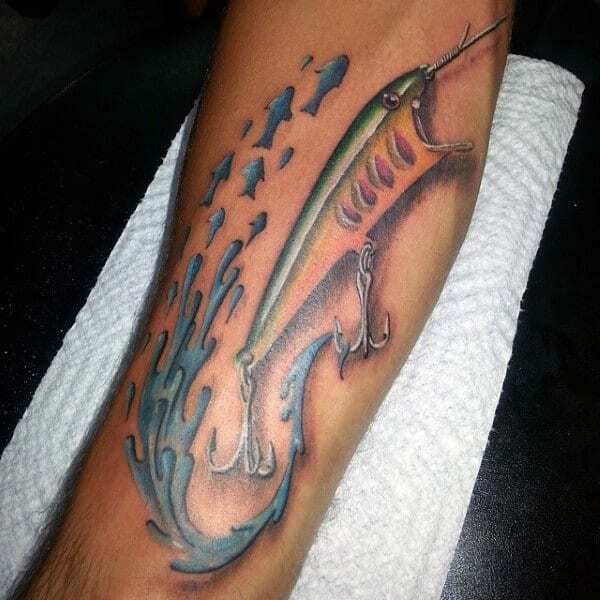 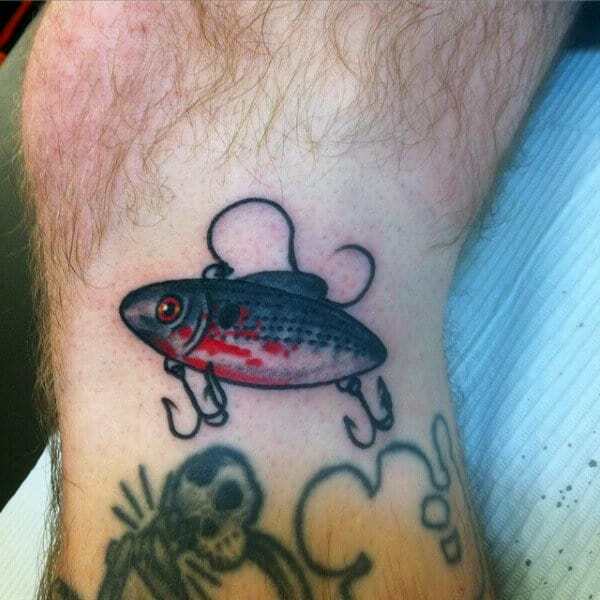 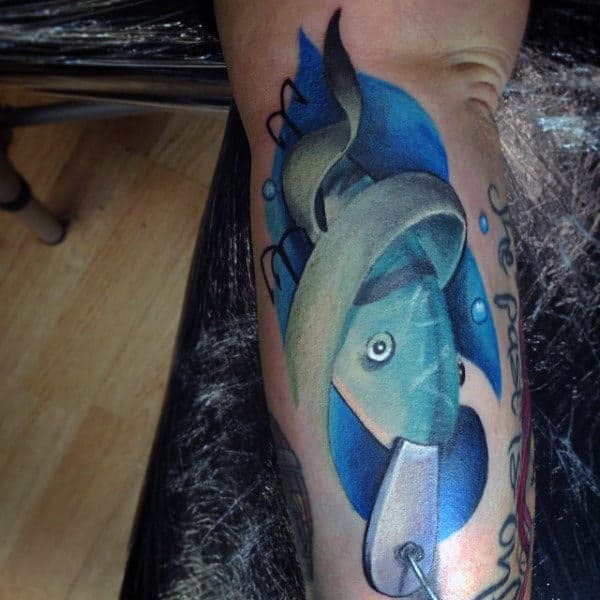 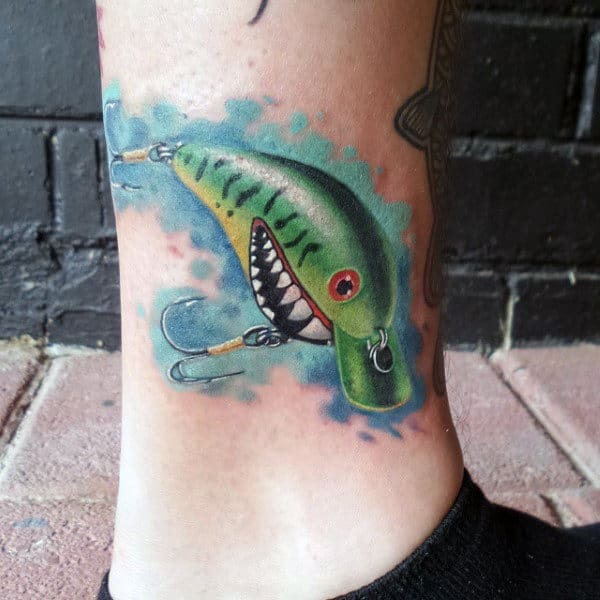 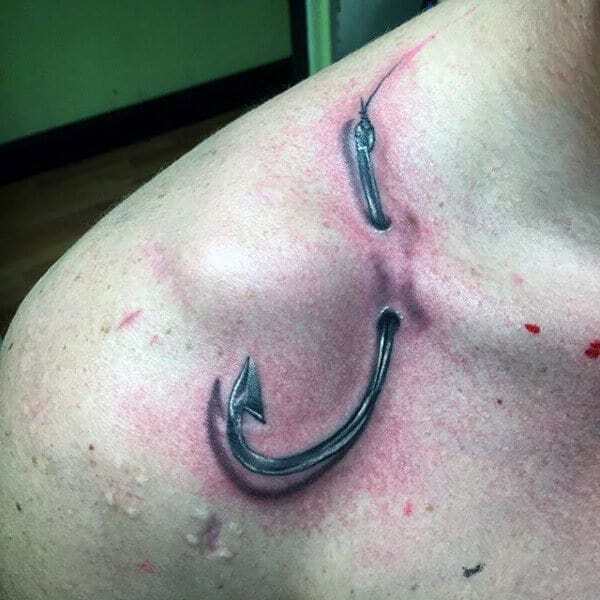 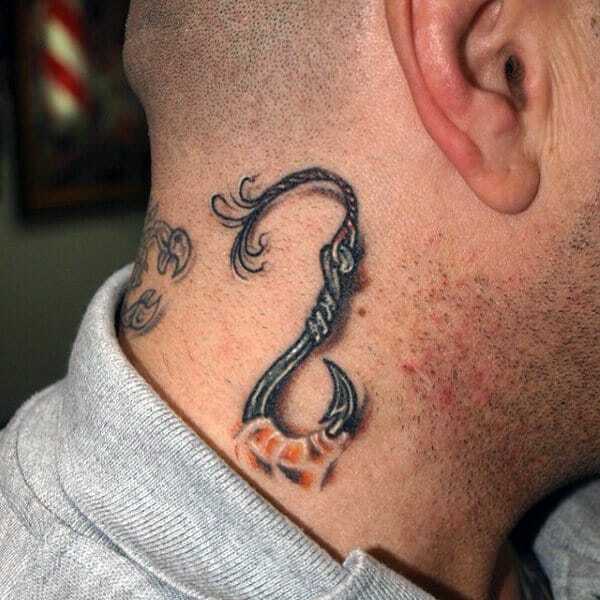 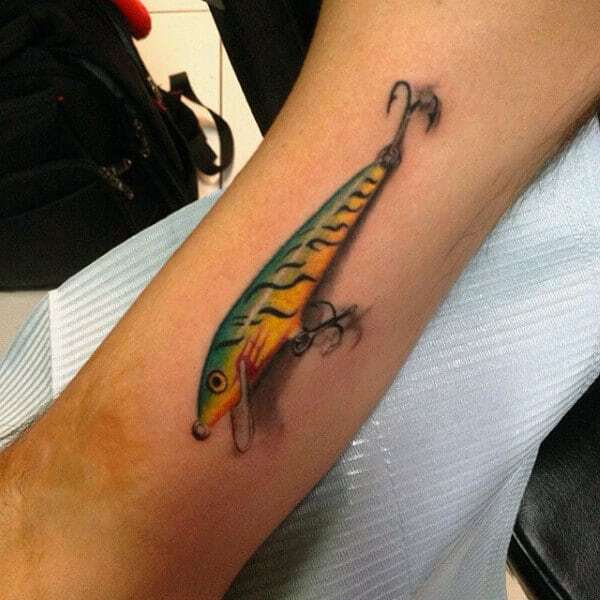 Fish hook tattoos are exceedingly well-received in today’s male fashion arena. 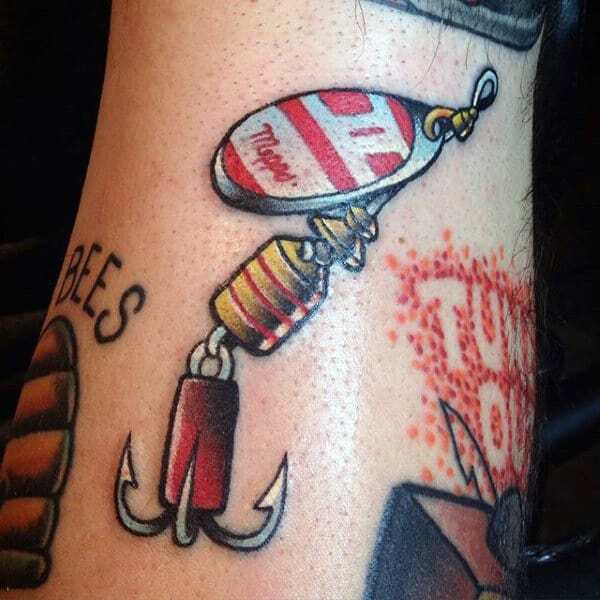 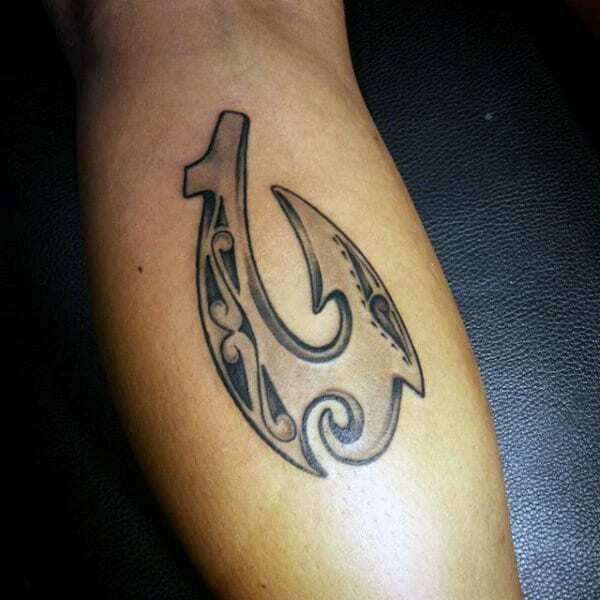 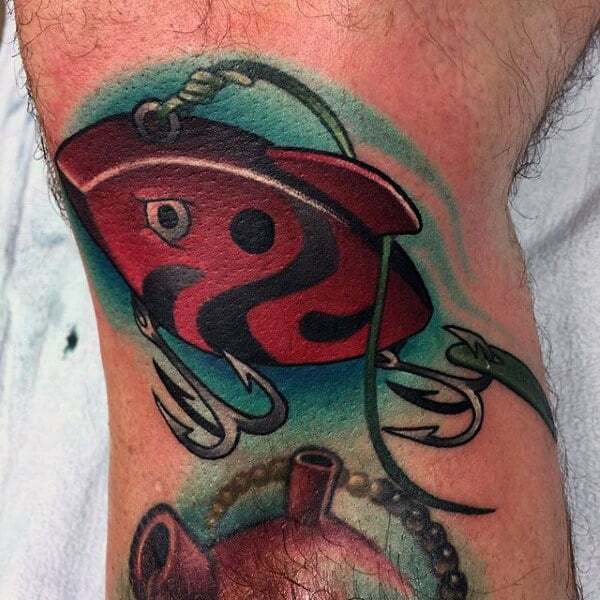 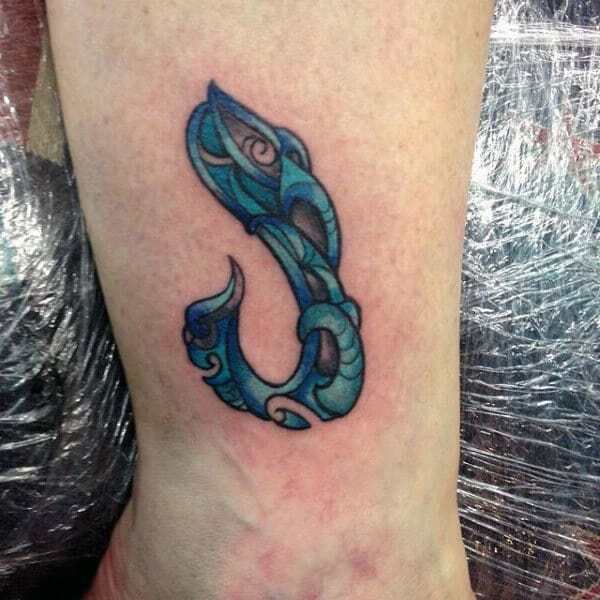 No matter how many fads come and go, these traditional tats are here to stay for the long haul. 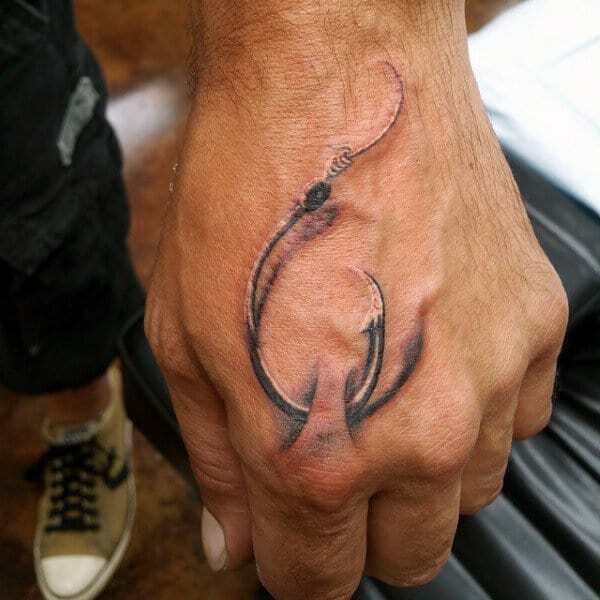 They carry vast personal significance, especially among guys who like to go fishing or sailing. 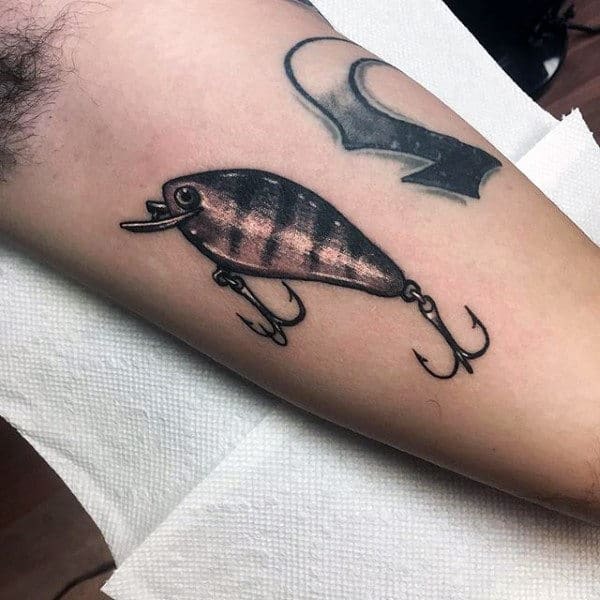 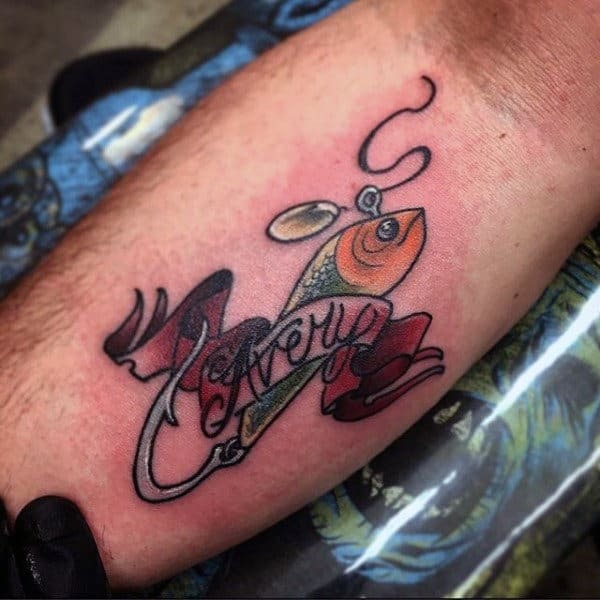 In the dating scene, these designs can indicate someone who is a “real catch.” Some bachelors employ these slick ink creations to woo women with alarming success. 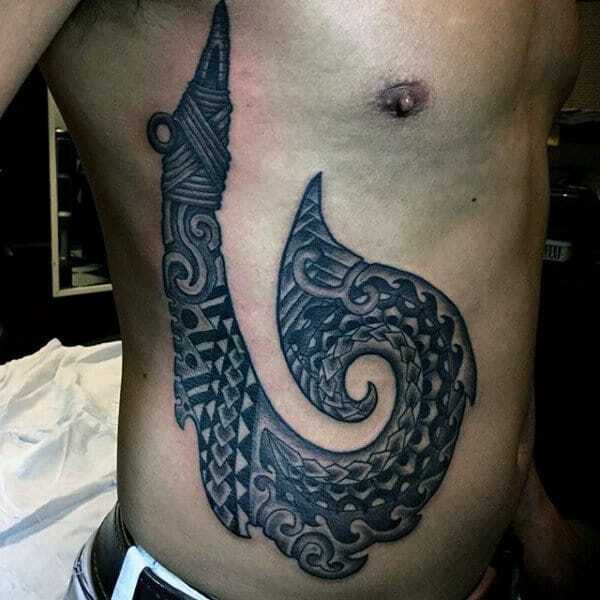 This is because they have a subliminal appeal alongside their ability to amplify your muscularity visibility. 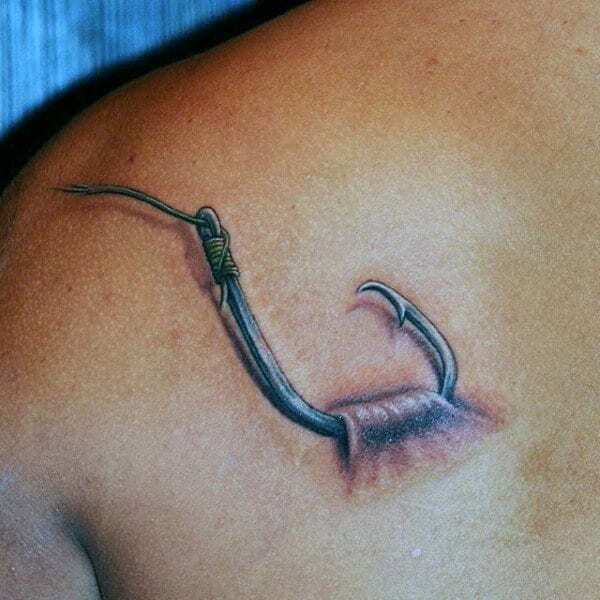 The most prevalent locations for these daring illustrations are typically the chest or biceps. 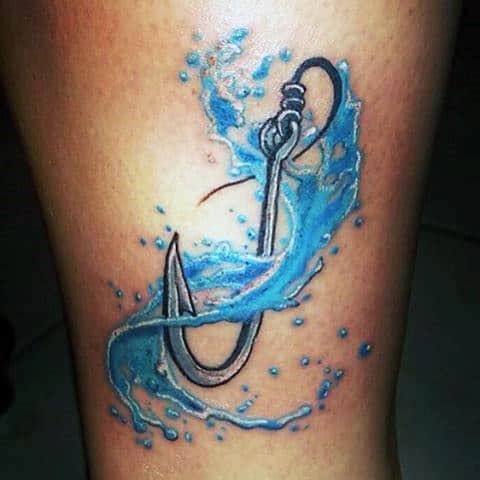 If you have an affinity with the seafaring world, then this may be the best technique to officially join the aquatic club. 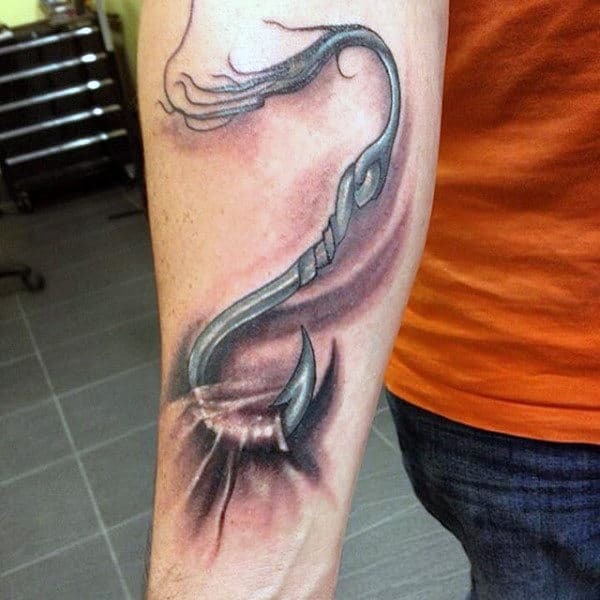 With a little creative boost, these triumphant spears showcase maximum fortitude in life’s sea of chaos. 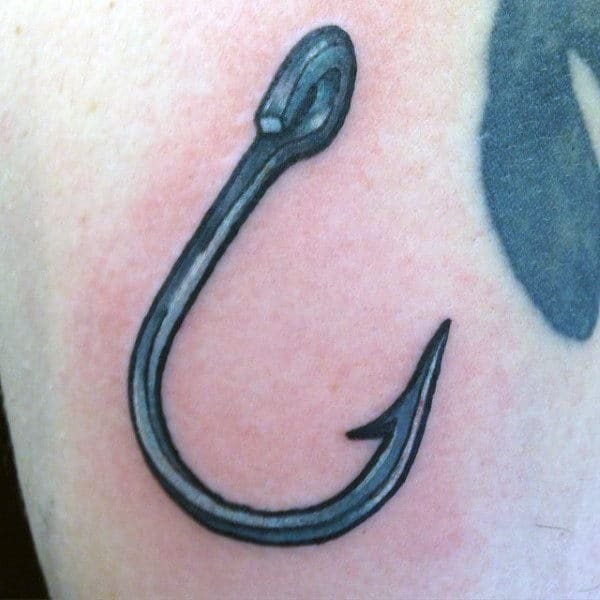 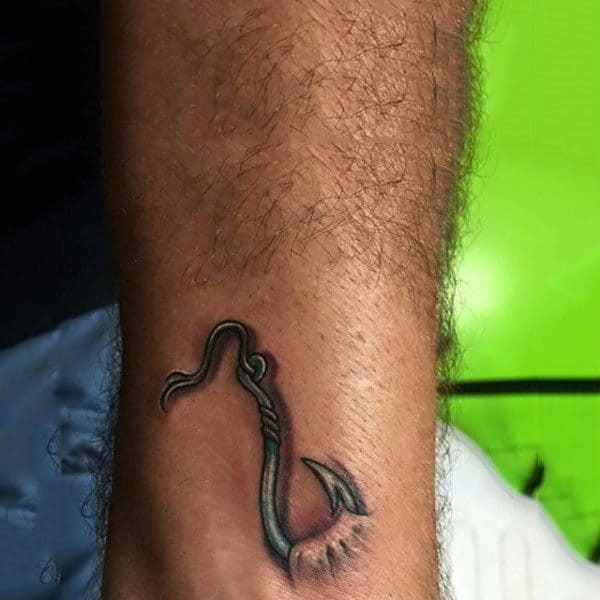 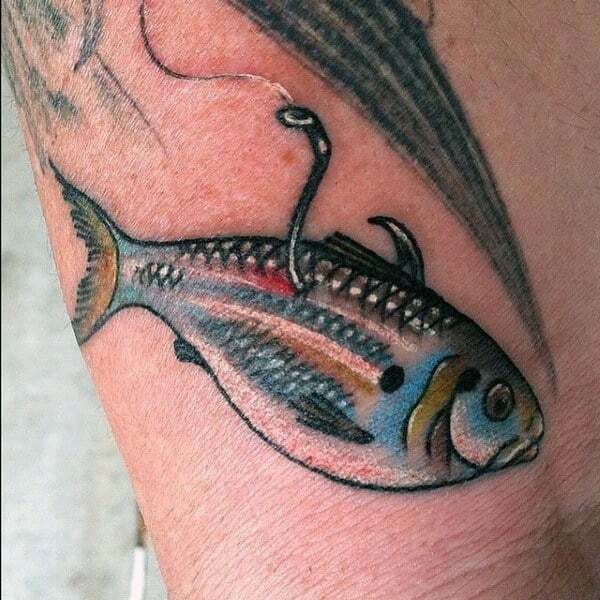 Because fishermen are equipped with innate survival abilities, a fish hook tattoo may indicate a fellow who knows how to fend for himself. 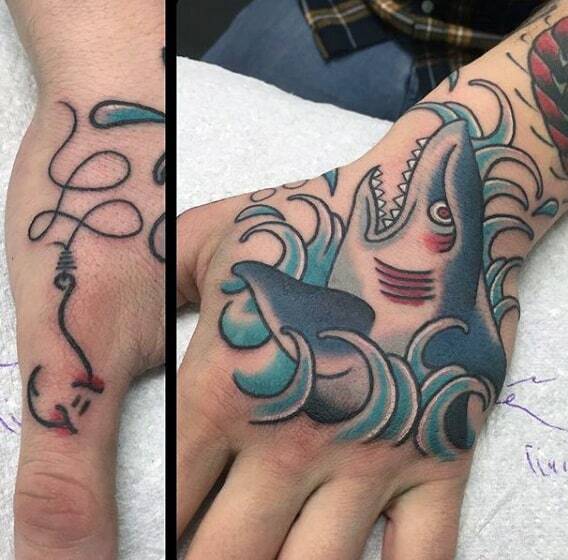 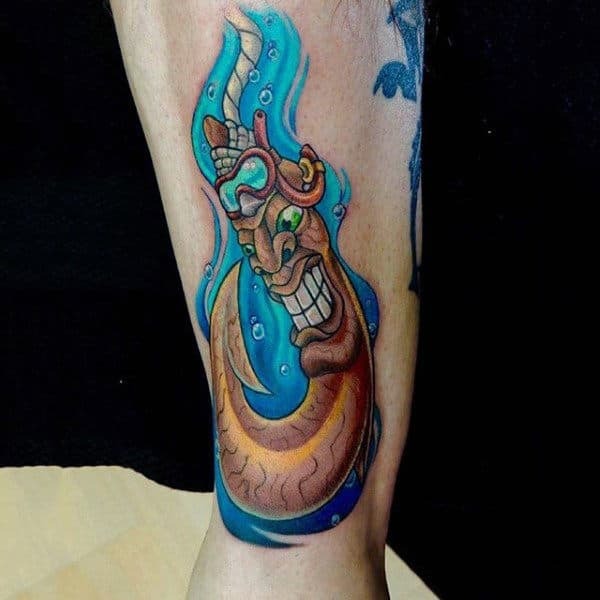 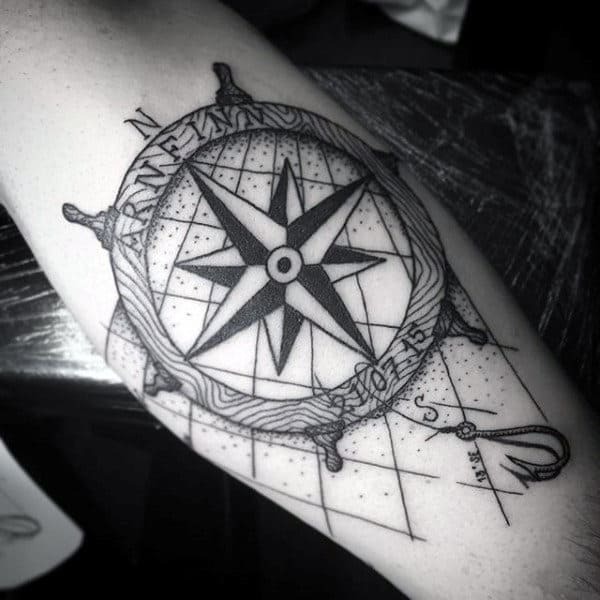 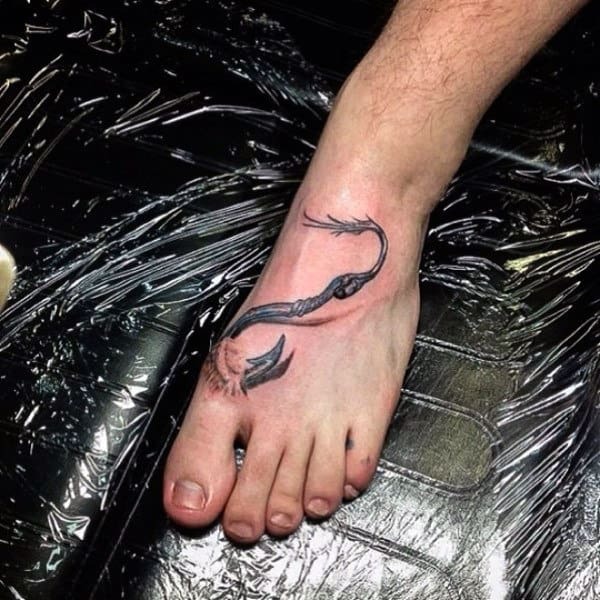 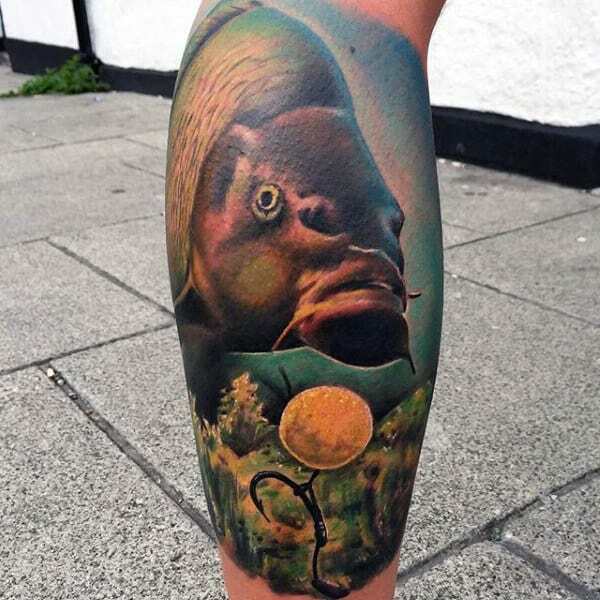 To see what we mean, just enjoy this cleverly culled collection of timeless tattoos.